"HANASAJIKI　(HANASAJIKI Web), the magnificent view, KOBE City and Osaka Gulf, Rokkou mountain area and Akashi Bridge in one picture, can be seen fm the Observatory. 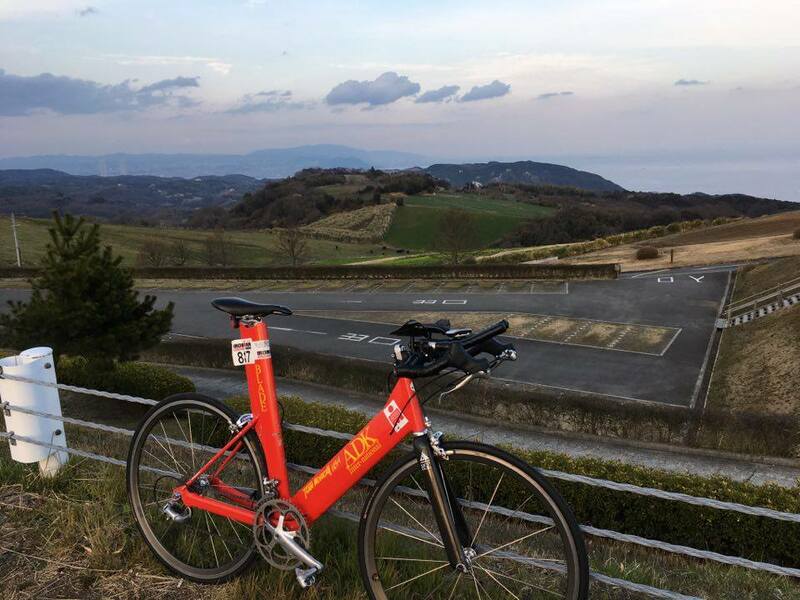 Fm our cafe, circolo, you can enjoy the round course, in 1hr trip, 18km distance/300m total elevation, is Ideal Bike Training course. At the observatory, "HANASAJIKI" you can enjoy seasonal flower every season. And "Wagyuu (cow)" are walking around beside the field. That's quite showing "KOBE"essence. "Animal Lanch　(Awaji Garden Web)" that you can enjoy Fresh Soft Cream or Burger. If you are member of "STRAVA", Internet Training Social Site, you can check several Time trial course.